I posted the above photo on my Instagram a few years ago. 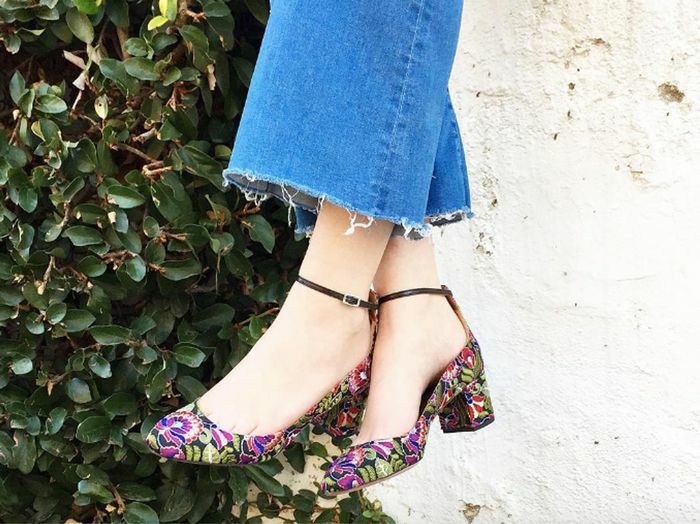 Since then, I've been wearing my beloved Aquzzura Alix pumps consistently—they've been to many a fashion party, endured an accidental detour in the mud, gotten a drink spilled on them, and driven hundreds of miles around Los Angeles. The best part? They've hardly shown any wear. The colorful print, embroidery, and dark background all serve to hide normal wear and tear, so my shoes still look almost new three years later. On the opposite end of the spectrum, I have majorly regretted buying shoes that started to show wear immediately. I had a pair of light pink suede shoes that somehow got dirty from simply walking around my office. Ditto with a pair of white boots. 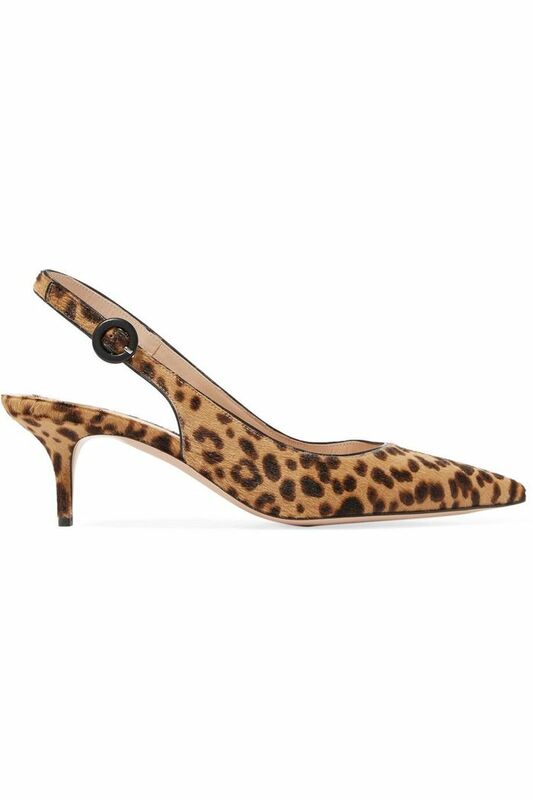 Now I'll never invest in a pair of designer shoes if I have to be extra careful not to get them dirty—it's just not worth the hassle to me when I can opt for darker colors and printed shoes that won't show wear as easily. In that vein, scroll down to shop my favorite embroidered shoes right now. Next up, see how Meghan Markle and Cindy Crawford style the same pair of shoes.